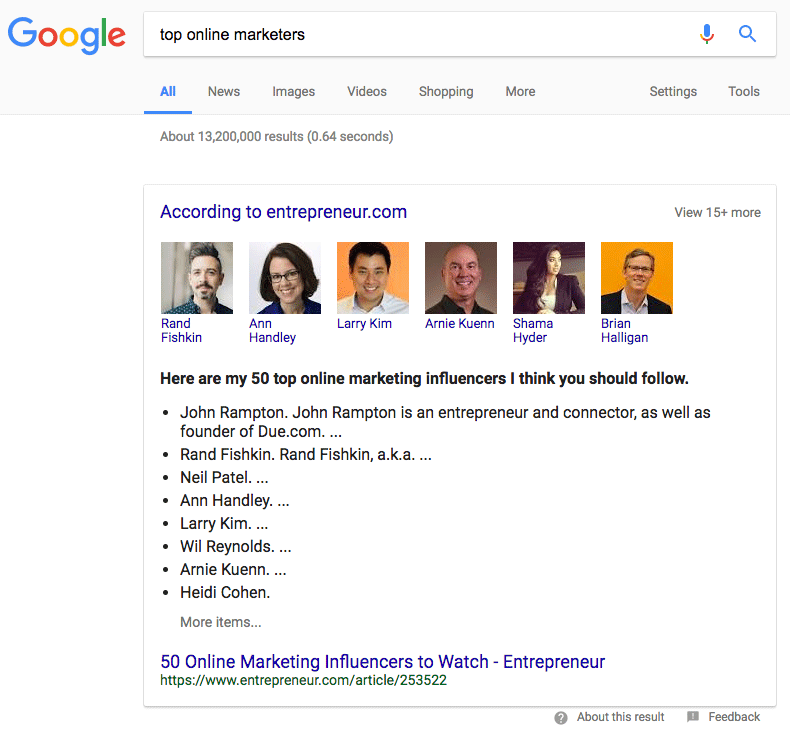 If you search Google for [top online marketers] Google will show you a featured snippet that is a bit different than any other featured snippet layout that I think I've ever seen. Google Home or Assistance voice responses typically always start with "according to" before they give you the answer. But I can't get this display treatment for other queries. This was first spotted by Himani Kankaria on Twitter. Can you replicate this for other queries?